Oakland, CA (August 27, 2018) – Good news for travelers in the Bay Area and Santa Barbara today, as Contour Airlines announces highly sought nonstop service between Oakland International Airport (OAK) and Santa Barbara Airport (SBA). Beginning October 16th, Contour will operate daily flights aboard its 30-seat ERJ-135 aircraft. Santa Barbara represents one of OAK’s largest and most frequently requested unserved markets within the state of California. With fares beginning as low as $79 each way, Contour offers a premium passenger experience during the hour-long flight. Comfortable leather seats throughout the aircraft offer legroom comparable to first-class, and each passenger is allowed one free checked bag. Travelers may also enjoy Contour’s complimentary snack and beverage service. "We have been amazed by the response to Contour's premium product and low fares in Oakland and are so pleased to be able to offer this new service to Bay Area residents," said Matt Chaifetz, CEO of Contour. "The ability to connect two of California's most popular destinations was an irresistible opportunity to further grow our West Coast network." The new service is a win not only for residents in Oakland and the Greater Bay Area, but also for passengers coming from Santa Barbara who wish to connect to the 7 European destinations now available from Oakland on Norwegian Air. Oakland International Airport welcomed Contour Airlines on April 11, 2018 with daily nonstop service to Crescent City’s Del Norte County Regional Airport (CEC). The flights represent the first Contour flights from both cities, and Crescent City’s first commercial operation since August 2017. In addition to Oakland, today Contour also introduces nonstop service between Santa Barbara and Las Vegas, further expanding the airline’s reach. Contour Airlines is the scheduled service brand of Corporate Flight Management Inc. d/b/a Contour Aviation, one of the country’s leading aviation services companies. Founded in 1982, the carrier serves six states offering a premium, low-fare airline product that includes a complimentary first checked bag as well as snack and beverage service. 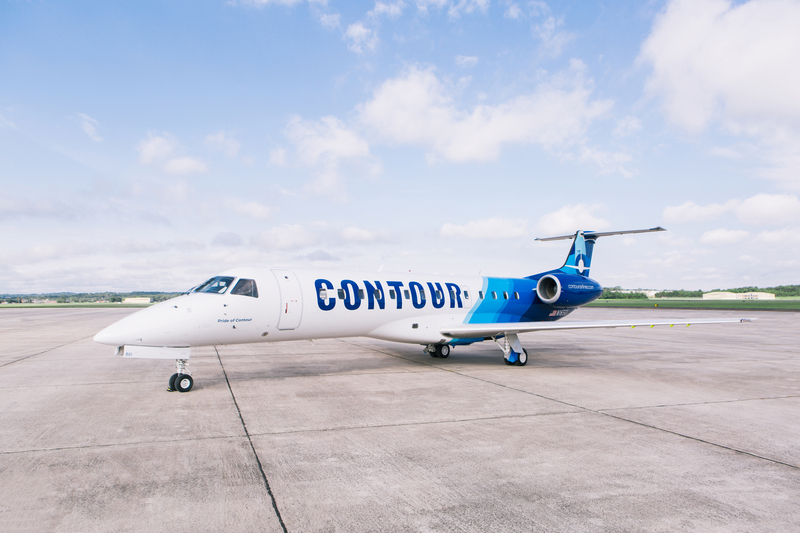 Contour operates a growing fleet of Embraer regional jets featuring leather seating with expanded legroom in every row. Tickets are available for purchase on Contour’s web site at contourairlines.com, by calling the Contour call center at (888) 332-6686, and through local and online travel agencies.